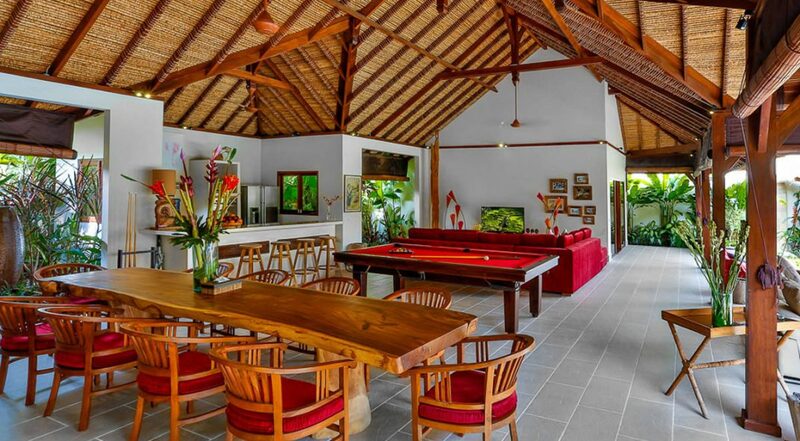 From $ 620 $ 496AUD per night We have direct contracts with most villa owners. We don't add any booking fees. We are 100% transparent with no nasty surprises. For the price this is seriously good value for a family or group holiday that want to experience luxury villa living, with all the ‘extras’. 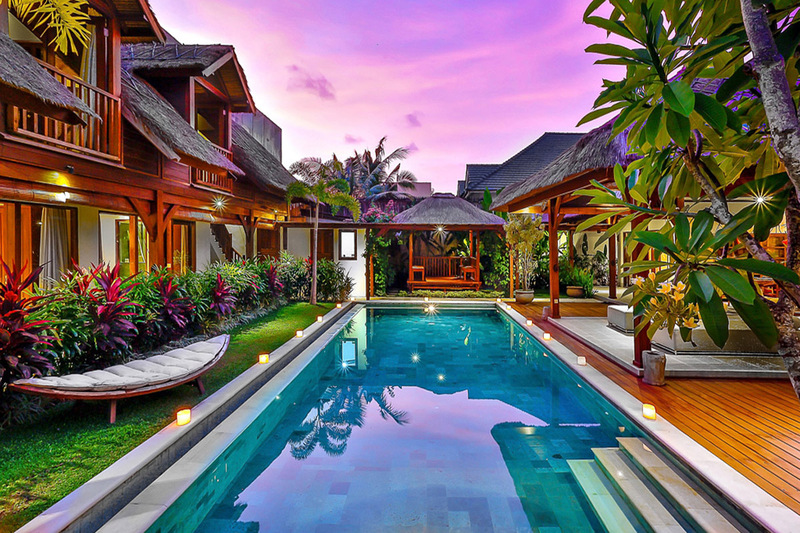 A fantastic location where you are literally 5-10 min drive to Seminyak and all the fabulous bars, shops ,day spas and the new Seminyak village. The famous ‘must see’ Ku De Ta and Potato Head are all close by. 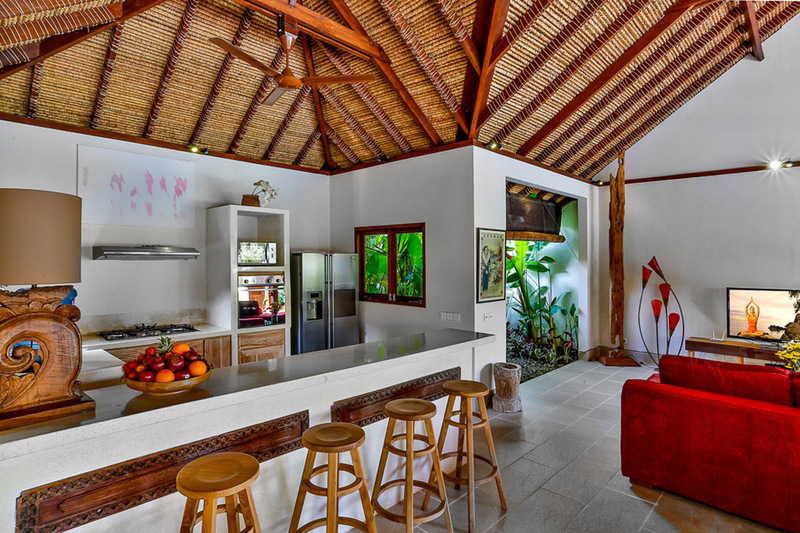 Villa Bibi is a stunning 5 bedroom Seminyak family villa holiday rental located on the fringes of hip & very trendy Seminyak, just a short 5 minute ride by taxi to central Seminyak’s Oberoi street. 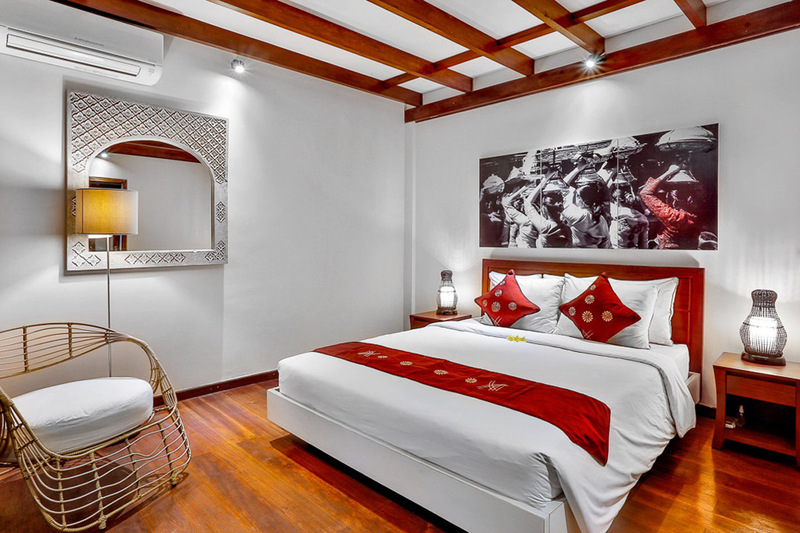 You are close to the famous Eat Street (perfect for a family holiday in Seminyak). 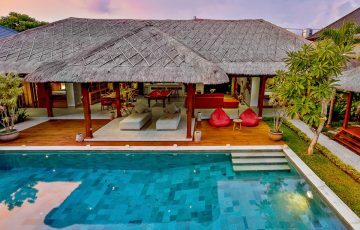 The villa represents traditional Balinese architecture with modern tropical living in mind, complimented by fantastic amenities and comfortable accommodation. 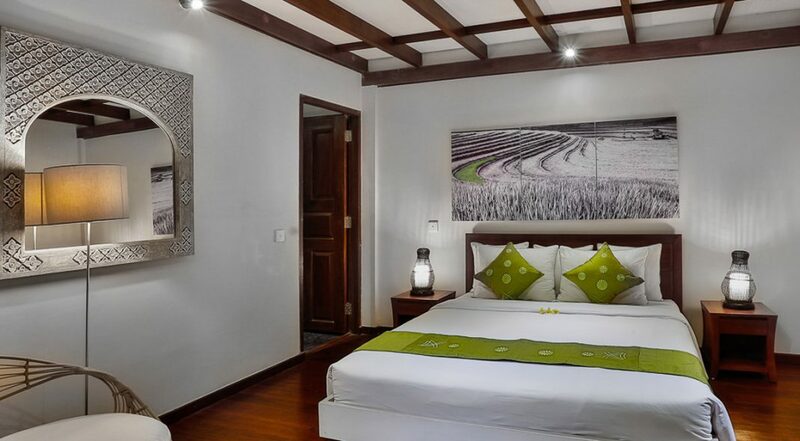 This Seminyak villa can accommodate up to 10 guests, making it ideal for one or more families to experience a memorable Bali holiday together. 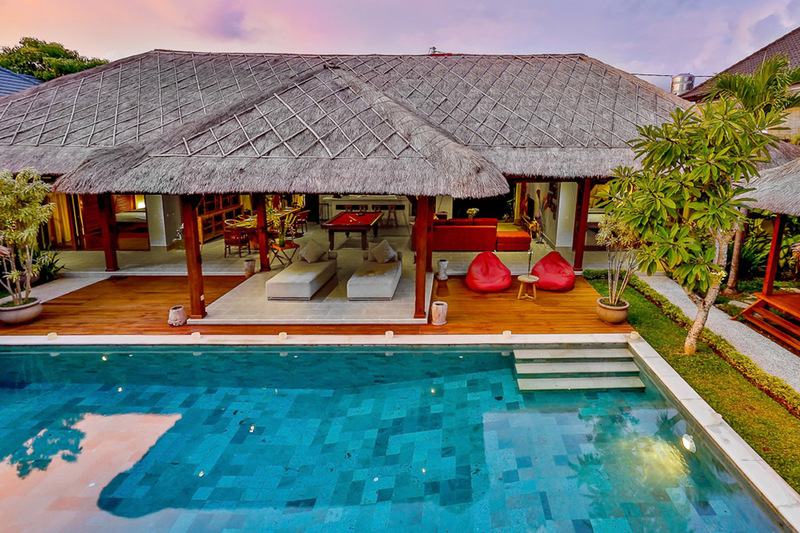 On either side of the swimming pool, the villa’s alang-alang thatched roof create a quintessential Balinese vibe. 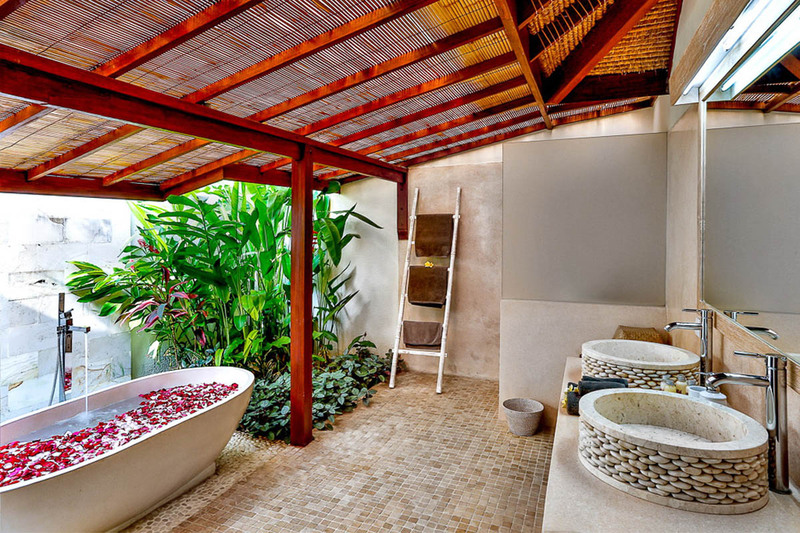 On all sides of the pool tropical plants, flowers and palms, add bursts of colour and exotic greenery. 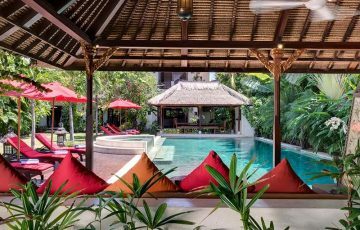 At one end of the pool a bale with seats provides shade from the sun as does the covered pool terrace with its stylish day bed lounges, swim a few laps or just splash around as you soak up the Bali sun. 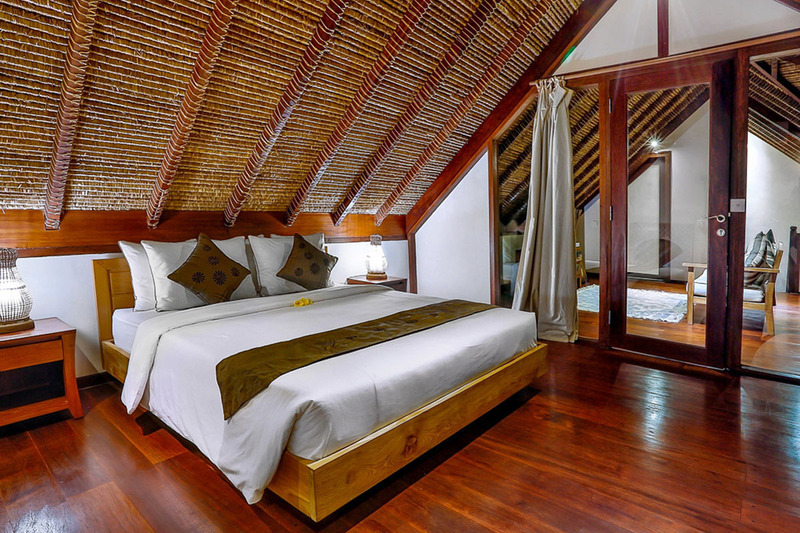 The living area is right by the pool, a traditional thatched ceiling houses large ceiling fans, circulating cooling sea breezes. A beautiful natural timber dining table seat 10 guests, maybe a BBQ banquet cooked by your personal chef. The billiard table and large sofa with flat-screen TV will provide hours of entertainment for the whole family and the kitchen is packed with appliances look after all your catering needs including a huge double fridge with ice maker, gas stove and oven. 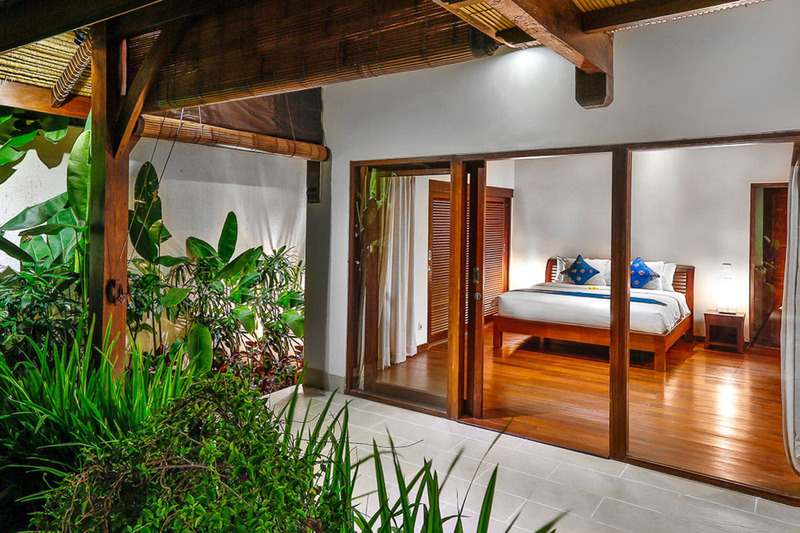 The two master suites is situated in the main living pavilion, both with private en-suites. 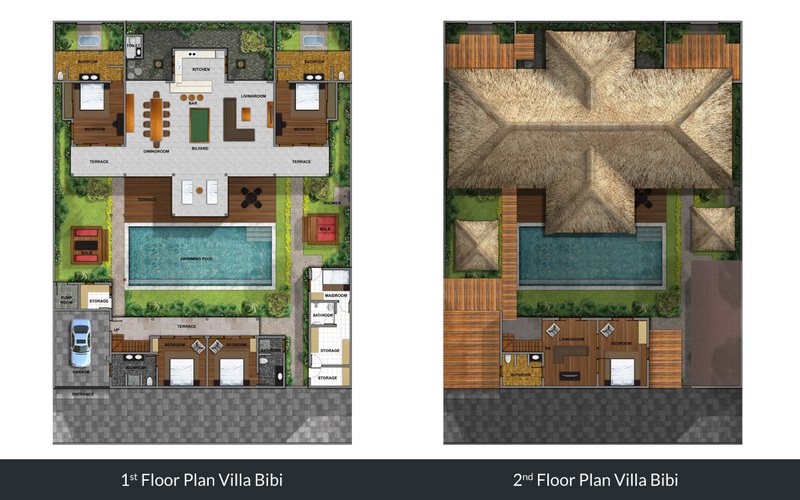 The two-storey pavilion across the pool houses two more bedrooms on the ground floor and one more upstairs with a private living area. 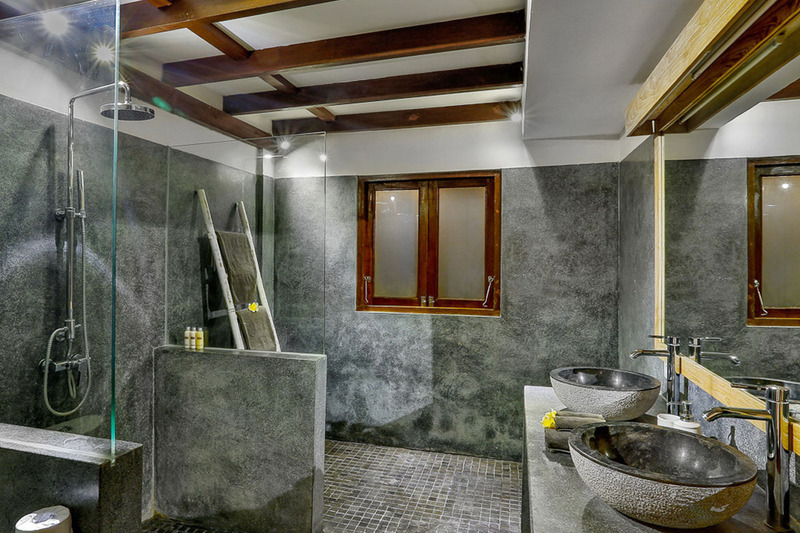 All rooms are fully air-conditioned with large timber beds, hardwood floors, built-in robes and en-suites offering a mix of soaking tubs and rain showers decorated in natural stone. 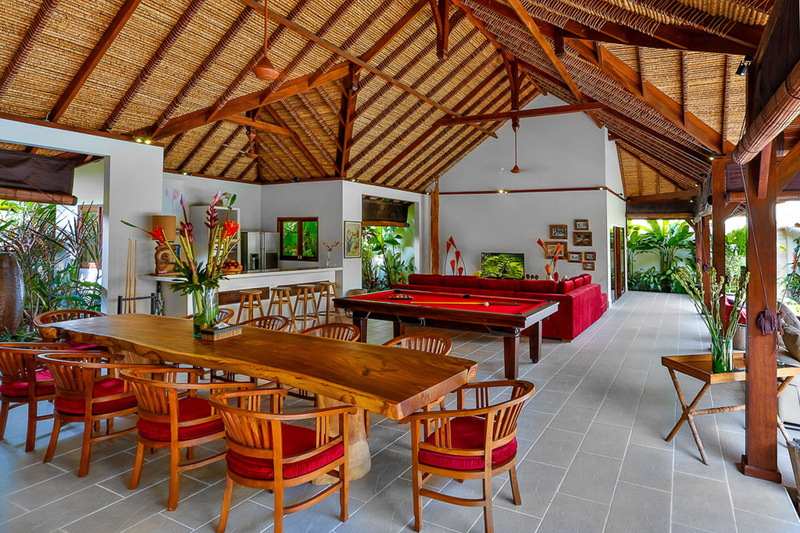 The villa is serviced by wonderfully friendly Balinese staff, they are fantastic with children and the villas chef has a great kids menu to keep them happy. Should you need catering for lunch and dinner the staff will happily arrange thisfor you. The staff can help with all your transport needs and assist in booking day trips around the island. 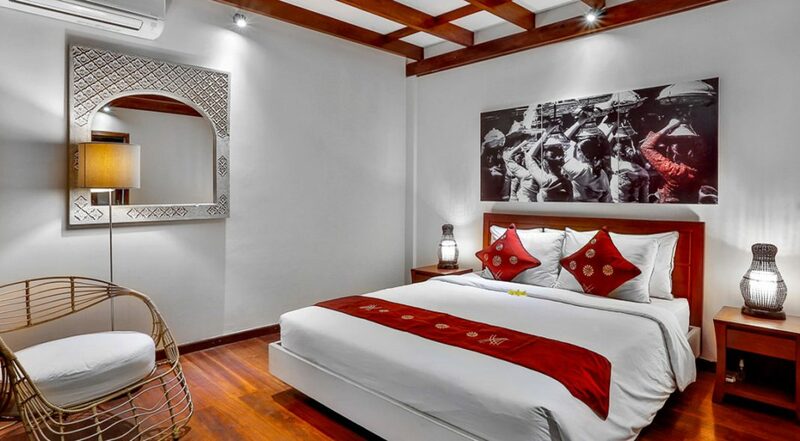 Villa Bibi is located just off Jalan Merthanadi, Naughty Nuri’s, Elgin Avenue and Ingka Cafe provide some great dining options, all within walking distance of the villa. Sunset Point is nearby and has a good supermarket, ATM’s and well known fast food outlets. If your coming with the family and want to treat them then the famous Gusto ice cream is also nearby. 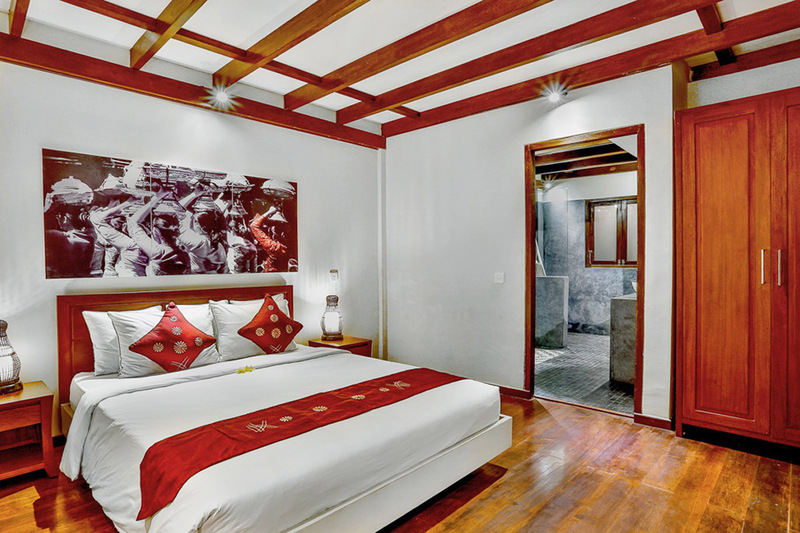 Jalan Oberoi which is Seminyak’s most popular strip for great restaurants, cafes, bars and chic boutiques is only 5 mins away. 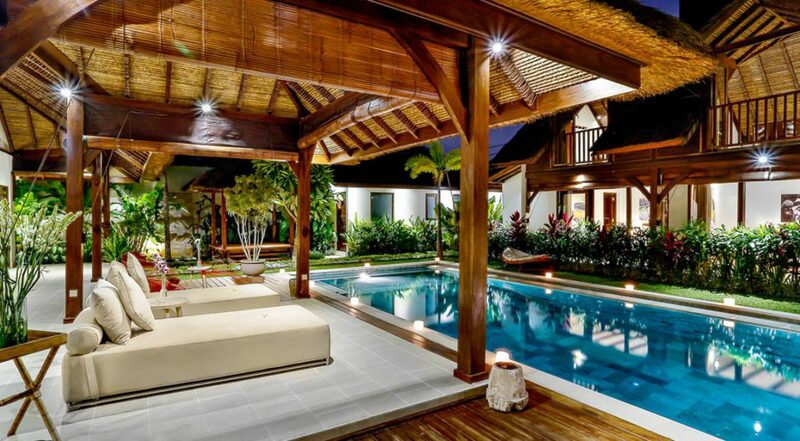 If you love your food, shopping, going to the beach, or simply lounging by the pool then this is the perfect villa. 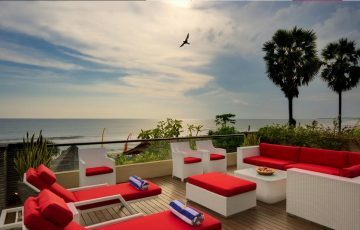 For other Bali Villas available for rent near Eat Street or the beach please browse this website or contact our reservation team. 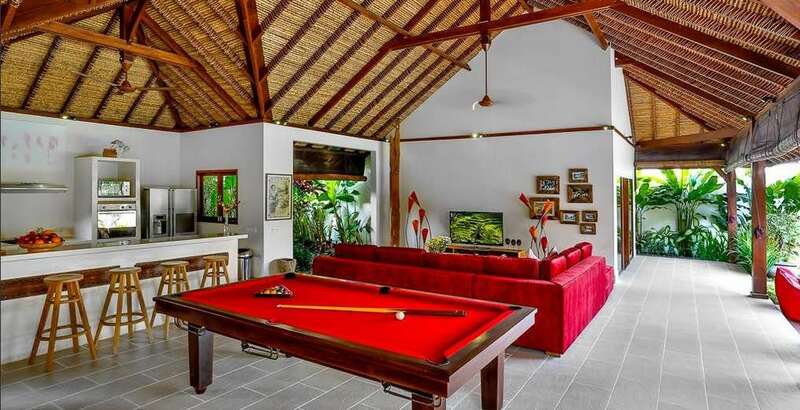 This is a popular Seminyak holiday villa rental so if your planning a trip to Bali, especially during the Australian school or public holidays please book Villa Bibi well in advance. There were so many fantastic things about Villa Bibi that it's hard to pin point everything we loved. 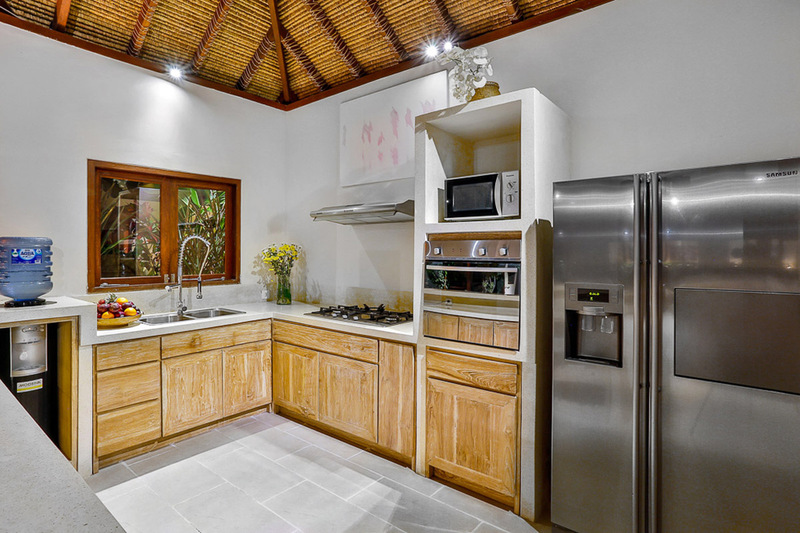 Let's just start by saying that the entire villa was meticulously clean, extremely modern and really well presented. The pool area was magnificent and was the centre piece of the holiday. 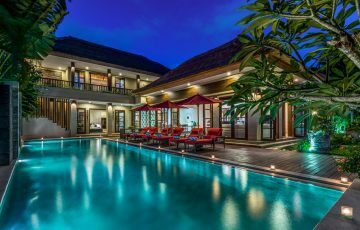 The children loved playing in the pool and we just enjoyed chilling out and enjoying the 5 star customer service by the super friendly Balinese staff who were on hand all the time to cook for us - nothing was too much of a problem for them. 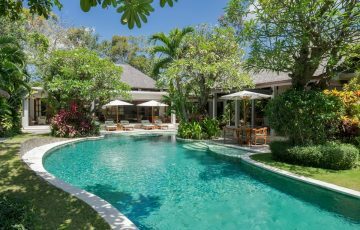 As far as pricing is concerned villa Bibi is seriously great value and worked out so much cheaper than the family staying in a hotel - this was a last minute booking so I want to give a big thumbs up to the team at Bali Villa Escapes for making this happen so quickly and putting up with my demands. Cheers Lisa xxxx. 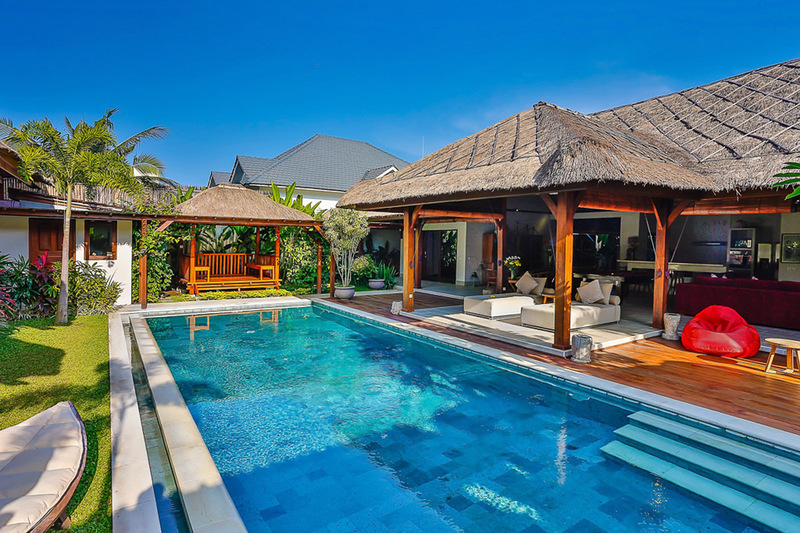 The family had a fantastic time and we loved the whole atmosphere of this stunning villa. The pool was fabulous as was the interiors. 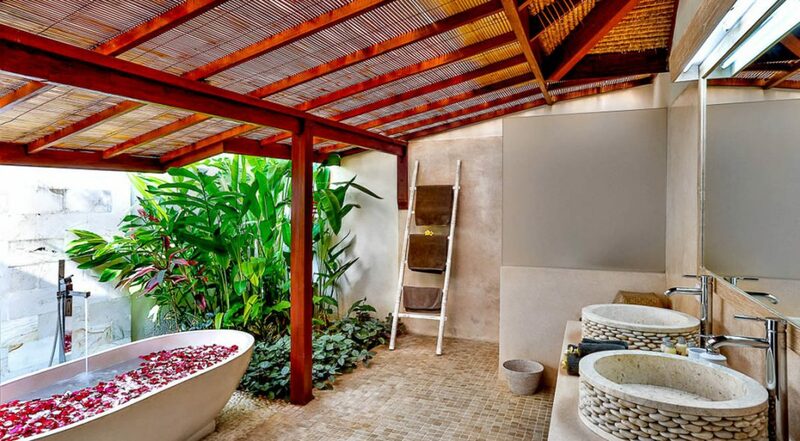 We especially liked the outdoor bathrooms. 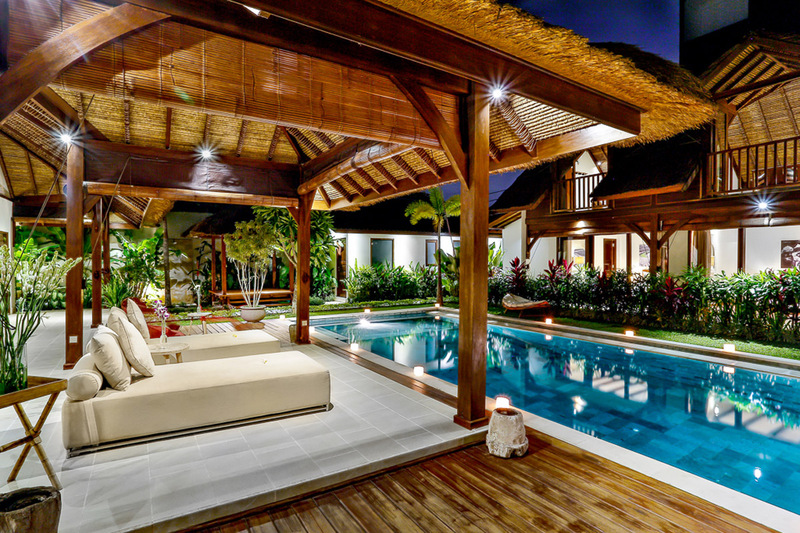 For the price, location and service we give this villa a 10 out of 10! We felt at home from the moment we arrived and were welcomed by the friendly villa manager (Mr Komang) and his staff who were there with welcome drinks. 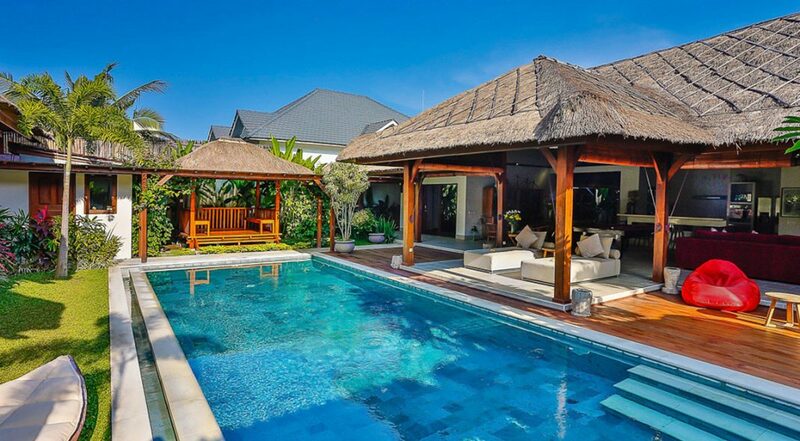 We fly regularly to Bali from Singapore and come for 3-4 days generally and in most cases will stay in a villa. 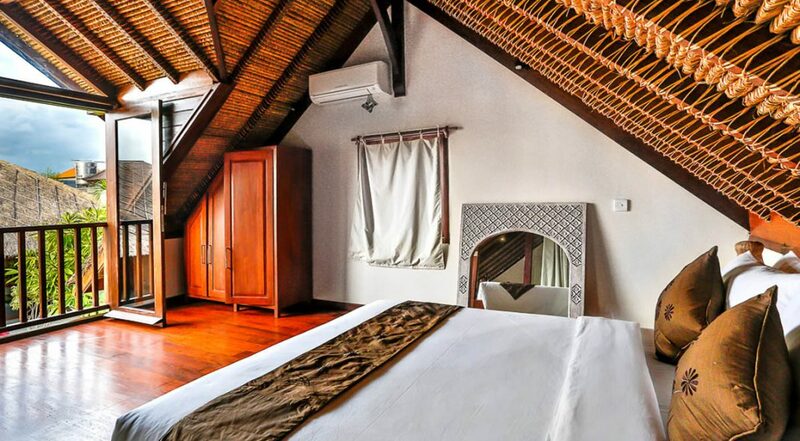 We are always on the look out for that something special when it comes to holiday villas and for our family of 6 Villi Bibi is perfect. 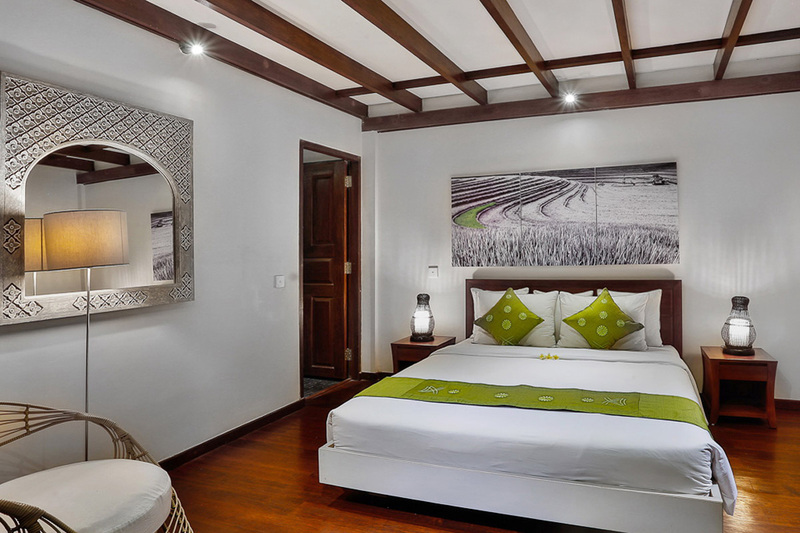 The service and facilities are impeccable and is ideal for a family getaway. The kids had to be dragged away from the pool table every day. 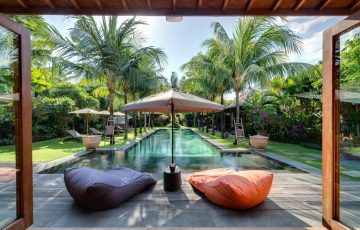 The accommodation, the really central Seminyak location (great for going out at night for dinner), villa swimming pool, gardens and overall level of comfort are world class and I would highly recommend a stay here. Spent 10 days here with our family from the stated and had a wonderful time. it is far for us to travel but next time we are coming to Bali we will stay here. Very convenient location and beautiful swimming pool and gardens. What an amazing holiday made even better by staying 8 days at Villa Bibi. 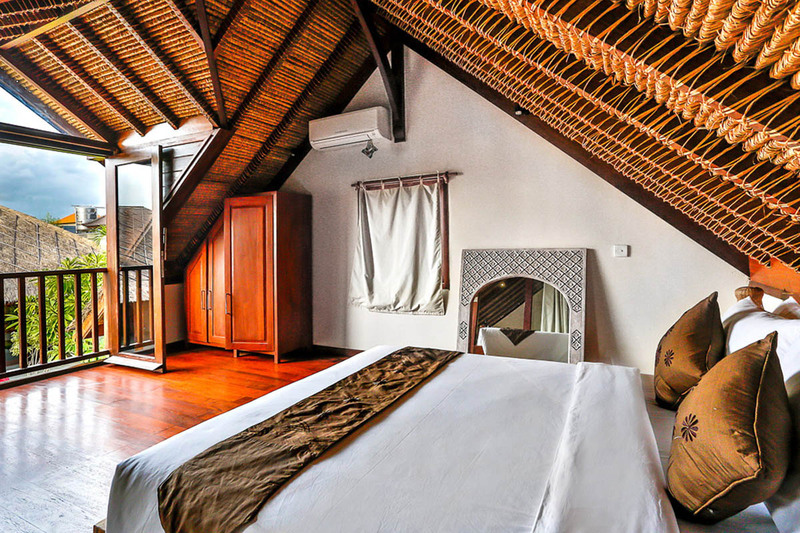 This is exactly what we were looking for in terms of location, rooms, staff and villa quality. ABSOLUTE PERFECTION!!! How are you? Hope all is well? I just wanted to say thanks for helping me organising our stay at Villa Bibi we enjoyed it so much, it was worth it, every thing was perfect. Now I’m back home I miss it so much haha. What a great villa...definitely coming back next year. Thanks to all the staff at Bibi for making this such a great holiday.